If you would like to still put something on the offering plate, REG cards will be available free of charge from the LLL or your District office. 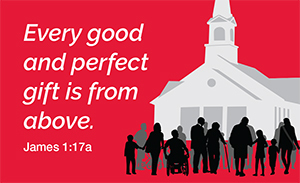 Tired of scrambling for offering money on the way to church? Want to be more organised with your giving? 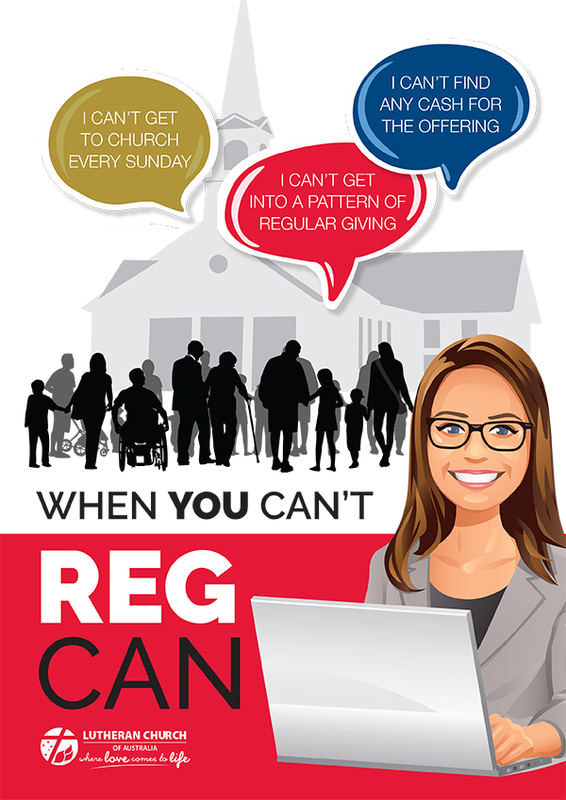 REG is a convenient, safe and confidential way of giving a regular offering to your congregation. Your REG offering can come from your bank, credit union or LLL account. You can set up REG to coincide with your regular income (eg salary, pension, dividends) or budget: weekly, fortnightly, monthly, quarterly or even half-early. REG keeps things confidential. Your congregation doesn't receive any information regarding your identity or the amount of your offering. You can also use REG to support your favourite Churchwide or District mission or ministry project. Bulletin inserts – you can find a range of downloadable JPGS and text-only (to copy/paste) inserts on the 'Spread the Word!' page. The LLL administers REG as a service to the Lutheran Church of Australia (LCA). To use REG, an LLL Direct Debit Request Form must be completed and lodged with the LLL. Also read the Service Agreement before you send the completed form to the LLL. This form gives the LLL authority to deduct the amount you specify from your LLL account or your account with a financial institution, and transfer it to an LLL REG account held by the organisation to which you are giving. To alter REG please complete another Direct Debit Request Form (indicating it is 'a change to an existing Direct Debit'). If your REG is deducted from your LLL account, with LLL@Home internet access you have the extra flexibility and convenience of altering the amount instantly online at any time.